There are 580 items matching your search. 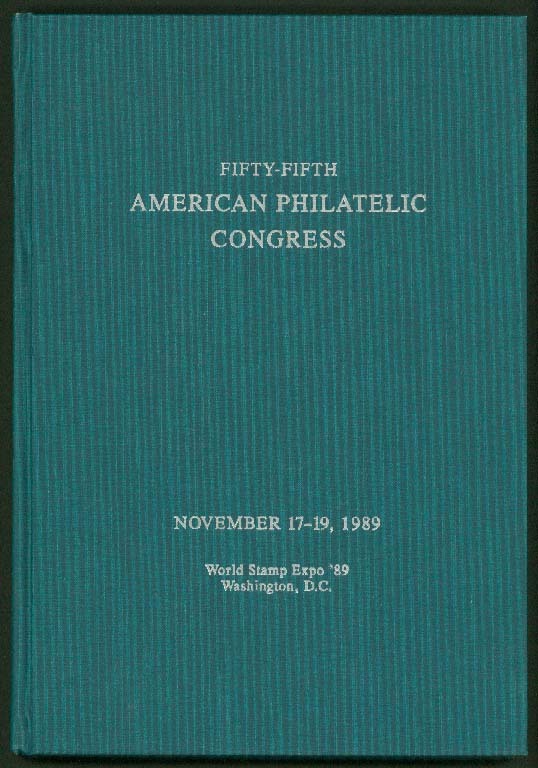 American Philatelic Congress. HANDBOOK #55, WASHINGTON, D C. Published 1989. HB. 187 p. U S Postage Stamp Dies 1847-1894; Nantucket Postal History to 1890; St. Helena Postal History during Napoleonic exile; Venezuelan-St.Thomas Packet Services 1820-1880. 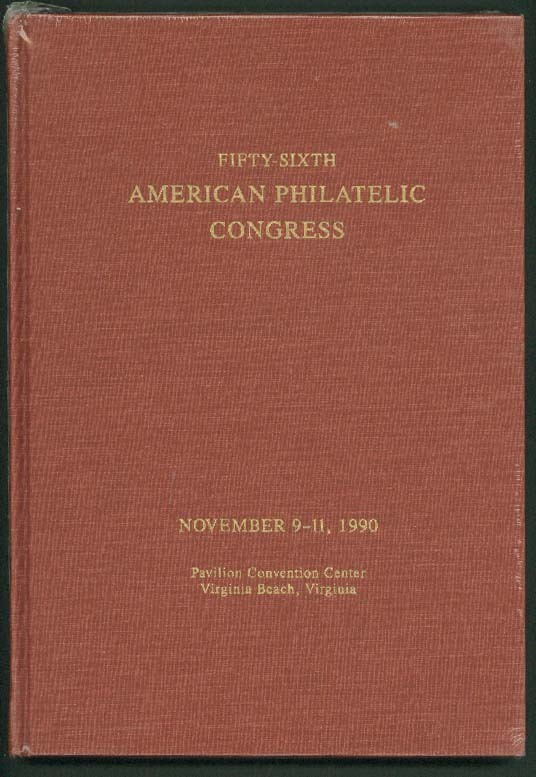 American Philatelic Congress. HANDBOOK #56, VIRGINIA BEACH, VA. Published 1990. HB. 188 p. Illus. Inc articles on Bermuda Postmaster Stamps by Forand & U S Private Die Revenue Stamps by Riley. 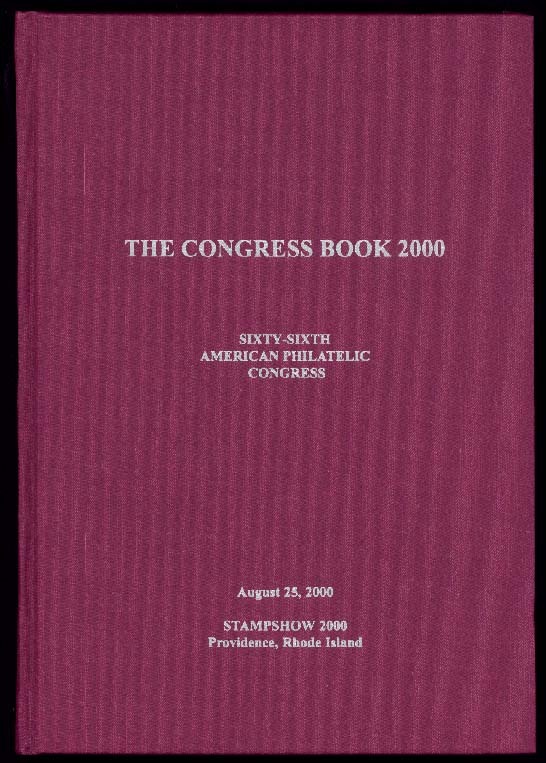 American Philatelic Congress. HANDBOOK #64, SANTA CLARA, CALIFORNIA. Published 1998. HB. 200 p. Illus. U.S.-Brazil Mail 1866-93 (37); Mexico 1856 & 1961 Provisionals (19); Chilean Stationery (18); Australian literature (20); U.S. permits (14); U.S. Colonial Postage Due (22); Philippines stampless (16); Fanning Island (28). 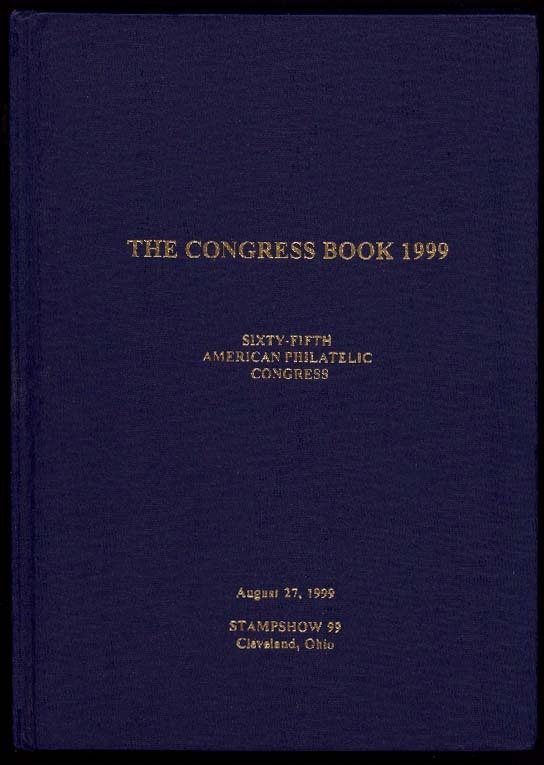 American Philatelic Congress. HANDBOOK #65, CLEVELAND, OHIO. Published 1999. HB. 200 p. Illus. 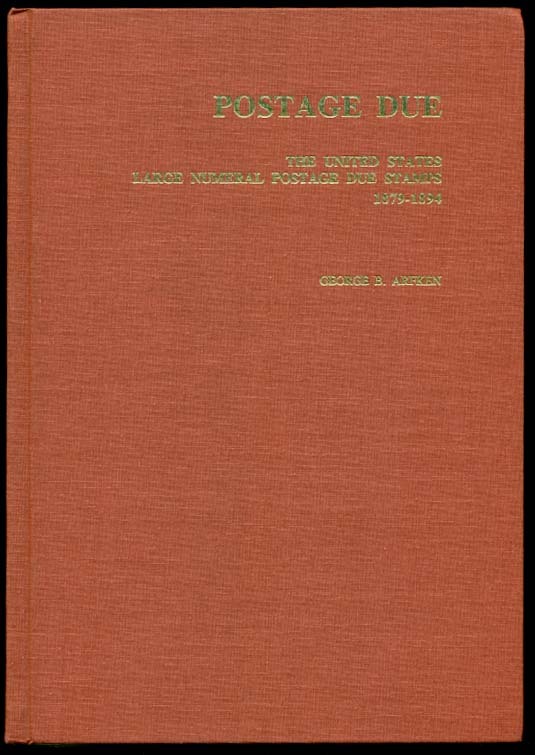 Early world postal history (39); Wisconsin Territory (29); Ivory Coast Parcel Post (30); U.S. RFD (28); U.S. Spud Tax (18); American at Churchill WW II (29); Pictorial postmarks of Australia (15). American Philatelic Congress. HANDBOOK #66, PROVIDENCE, RHODE ISLAND. Published 2000. HB. 200 p. Illus. Maine fancy cancels (18); Switzerland WW II to Canada (24); U.S. Private Cards 1925-28 (28); South Viet-Nam military mail (22); Milwaukee Airmail (24); Autogiro Mail (25); Balkans 1875-1925 (17); U.S. Military Rates WW II (29). American Philatelic Research Library. 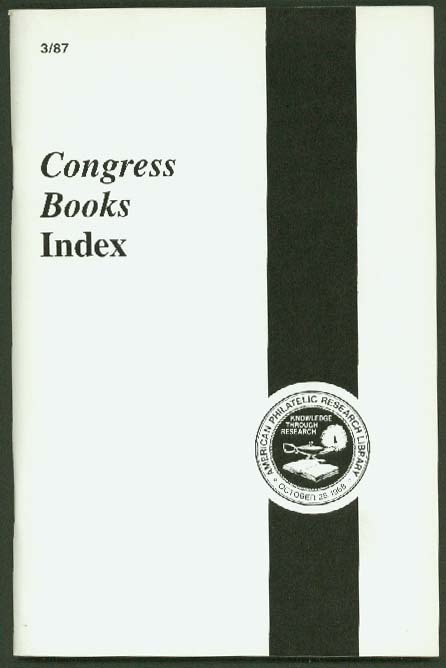 CONGRESS BOOKS INDEX 1935-1986. Published 1989. Card. Vol 36, #3, 3rd qtr. 1987. Subject, author-title & geographic indexes for the APC series vols. 1-52. Billig, Fritz. BILLIG'S HANDBOOK #03. Published 1951. 2nd Rev edition. HB. 208 p. Illus. French Cancels (104 pages); Morocco Local Posts (32). 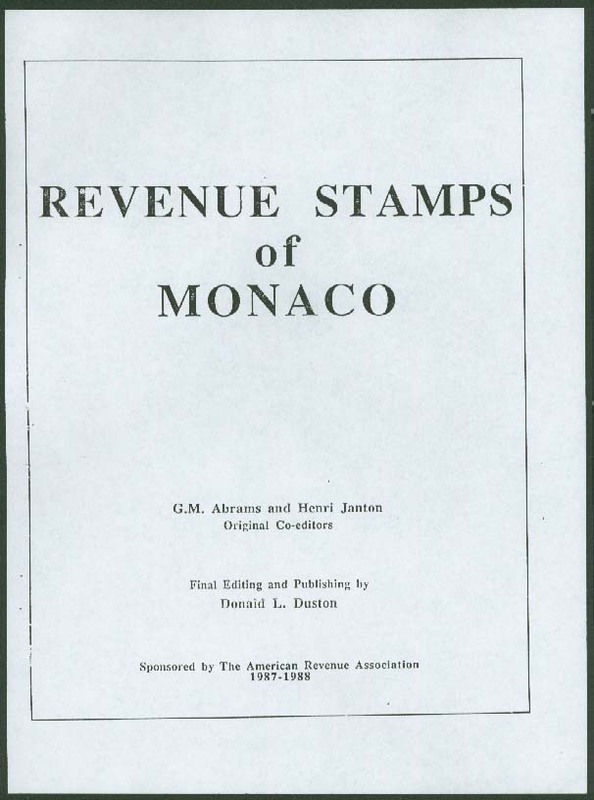 Abrams, G & Janton, H. REVENUE STAMPS OF MONACO. Published 1987. Comb. 13 p. + 5 p. appendix. Illus/priced list/w notes. Appendix about the Prov ovpts of the Dimension stamps of France. Catalog in English, appendix in French. 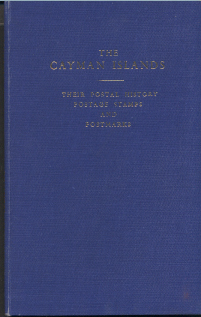 Aguilar, E. F. & Saunders, P. T. THE CAYMAN ISLANDS; THEIR POSTAL HISTORY, POSTAGE STAMPS AND POSTMARKS. Published 1962. HB. 112 p. + foldout map. Pre-adhesives, stamps 1901-59. Incs Provisionals; War stamps; Cancels; Registry; Air Mail; Stationery. 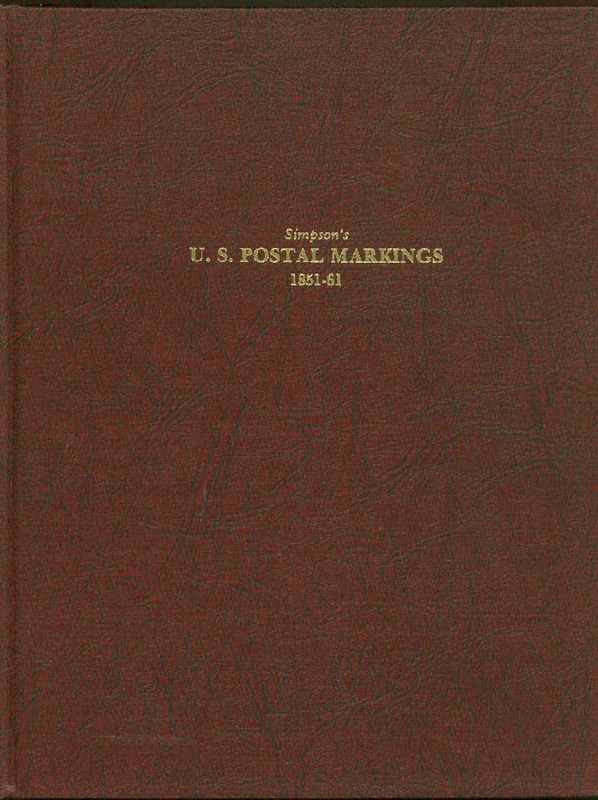 Alexander, Thomas J. SIMPSON'S U. S. POSTAL MARKINGS 1851-1861. Published 1979. HB. 434 p. Shows 1000s of markings by type/w rarity factors. 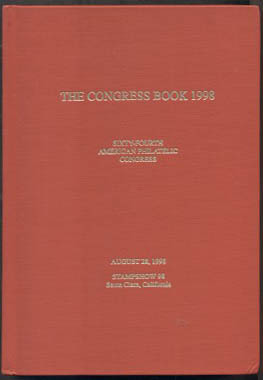 The standard reference work for the time period. 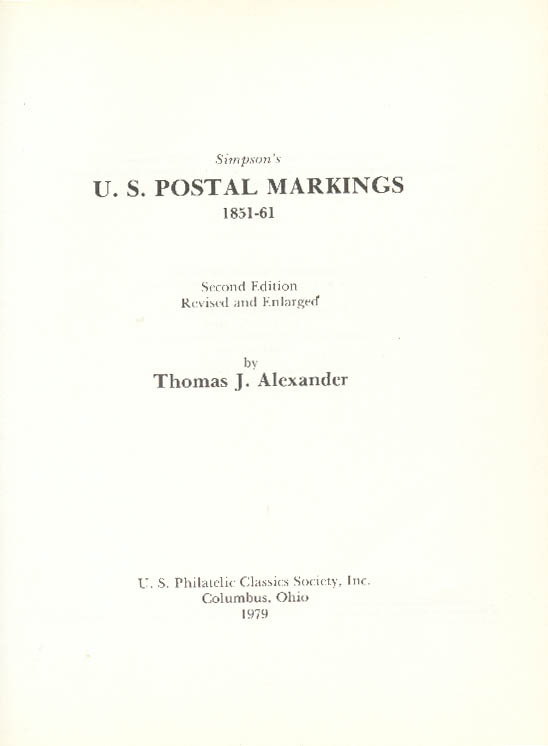 Alexander, Thomas J. SIMPSON'S U. S. POSTAL MARKINGS 1851-1861. Published 1979. HB (new). 434 p. Shows thousands of markings by type/w rarity factors. Much information on the time period. American Philatelic Society. 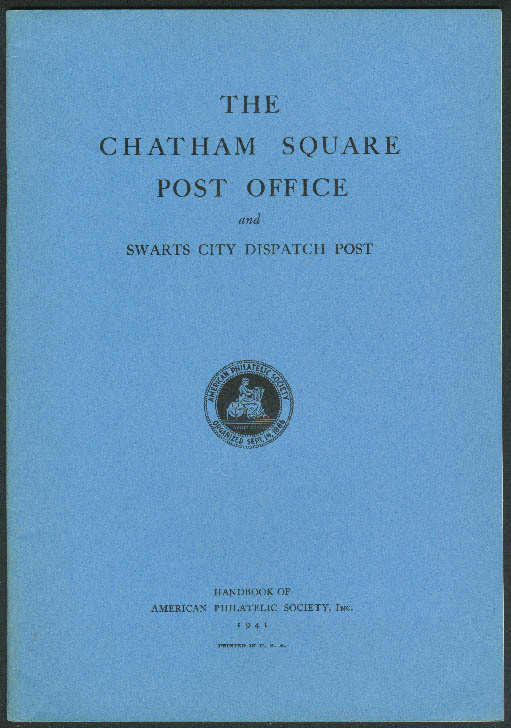 THE CHATHAM SQUARE POST OFFICE AND SWARTS CITY DISPATCH POST. Published 1941. Card. 34 p. Illus. History, operating areas. Study of stamps, reprints, remainders, forgeries & pmks. 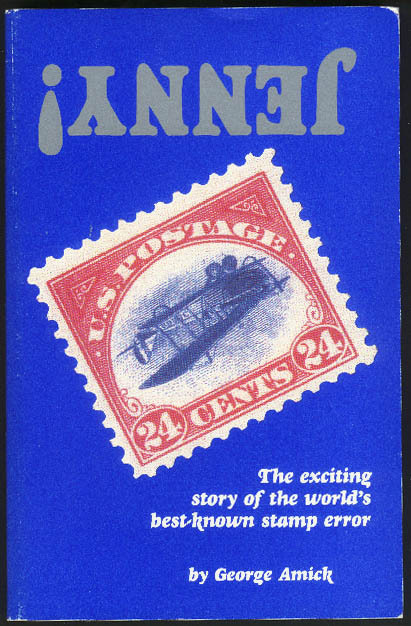 Amick, G. THE INVERTED JENNY: MONEY, MYSTERY, MANIA. Published 1986. Card. 250 p. Illus. The 24c inverted airmail. History of the famous stamps. Description by position. Incs. provenance of most copies. Andrews, James. 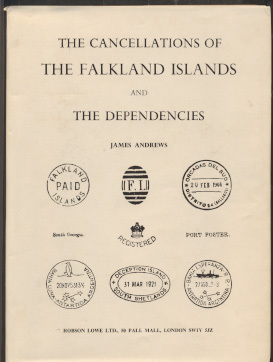 THE CANCELLATIONS OF THE FALKLAND ISLANDS AND THE DEPENDENCIES. Published 1956. HB. 56 p. Maps, many postal markings. Sections on the Islands and the Dependencies. Includes handstruck stamps; Notes on the British, Argentine & Chilean POs in the Antarctic. Antrim, Earl. 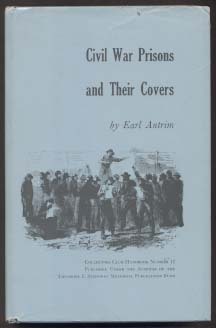 CIVIL WAR PRISONS AND THEIR COVERS. Published 1961. HB. 215 p. Shows many cvr, markings. Incs postal history of Northern & Southern prisons. ARA - France. 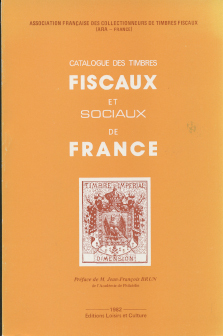 CATALOGUE DES TIMBRES FISCAUX ET SOCIAUX DE FRANCE. Published 1982. Card. 135 p. By type, an illus & priced catalog inc varieties. In French. ISBN #0916675033. Arfken, George B. POSTAGE DUE, THE UNITED STATES LARGE NUMERAL POSTAGE DUE STAMPS, 1879-1894. Published 1991. HB. 229 p. Collectors Club of Chicago. Very Good. No d/j. Shows stamps, covers, markings. Comprehensive work on the essays, proofs, stamps, cancels, & postal usages. ISBN #0919801366. Arnell, J. C. STEAM AND THE NORTH ATLANTIC MAILS, THE IMPACT OF THE CUNARD LINE AND SUBSEQUENT COS. ON THE CARRAIGE OF TRANSATLANTIC MAILS. Published 1986. 295 p. Illus. Shows many covers, markings. Communication between Great Britain & North America during the transition from sail to steam. The contracts, agreements, lines, routes, disasters. ISBN #0919882072. Arnell, J. 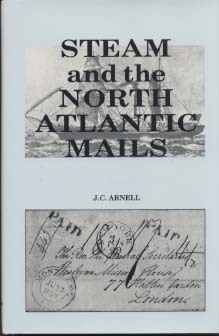 C.. ATLANTIC MAILS; A HISTORY OF THE MAIL SERVICE BETWEEN GREAT BRITAIN & CANADA TO 1889. Published 1980. HB. 411 p. Told from the Canadian viewpoint. 149 p. of data on sailings of sail & steam packets. Incs. markings, rates, maps. Shows many covers, illus. of ships used. 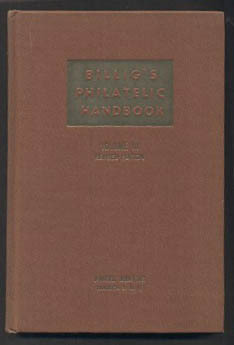 Arnold, A. S. THE PHILATELIC FOREIGN LANGUAGE GUIDE. Published 1953. Card. 40 p. Illus. Alpha by country with "essential information for deciphering foreign numerals & characters on postage stamps".